Gillian Flynn’s dizzying, addictive thriller wants to ask you a question: how well do you know the person you’re married to? Are you confident you actually know what they’re capable of? Maybe you should keep some protection close by. Just in case. Something terrible happens on the morning of Nick and Amy Dunne’s fifth anniversary. Amy vanishes without a trace, leaving behind evidence of a struggle in their home on the Mississippi River. What happened that day gets teased out slowly as the narrative shifts between Nick’s narrative of the investigation and Amy’s diary entries leading up to the fateful day. Nick publicly claims to be innocent but can’t help coming across the wrong way to the police and media who descend on the scene. It doesn’t help that he admits (to the reader) to keeping secrets from the police and his family. Nick isn’t who he is trying to appear to be, but is Amy? Appearances are very important in Gone Girl–how we may present different versions of ourselves to the world depending on the circumstance, and especially how they can be dangerously misleading. Marriage (specifically as a long-term relationship) is also key. Of course, Gone Girl takes a common problem (how do you keep the magic alive after the courtship is over?) and takes it to an extreme (how far are you willing to go to get revenge on someone who stopped trying/stopped pretending? ), but that’s the nature of a thriller. To say anything more about the plot would do the reading experience a great disservice. 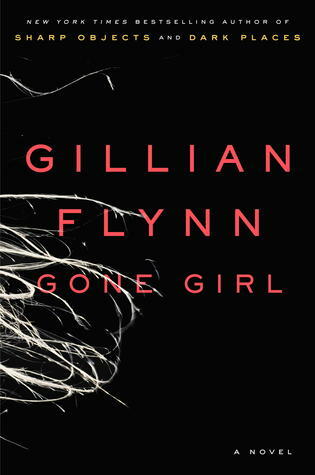 Gone Girl is a book that depends on its twists, and this is the rare case when an author manages to pull off every single one of them. Best of all is that she knows when to stop. I’ve read far too many mystery/thriller authors who just can’t resist having one last surprise (*cough*MICHAELCONNELLY*cough*), and it almost always makes an otherwise good book ridiculous. Not so with Gillian Flynn. If I were still working in a bookstore this would be my book of the summer. Without a doubt. Going to the beach? Need something to read on the plane? Want something fun to read that isn’t completely brainless? Depressed that the 50 Shades of Grey books have become so ubiquitous? Just looking for something good to read? This is the book for you. Now go get it. Go. Now.